Products There are 21 products. 3 Tier: 900W x 450D x 1020H mm – with 2 adjustable shelves White powder coat with matching PVC doors Levelling feet 10 year warranty Free Delivery. 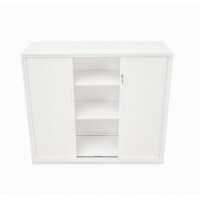 White powder coat with matching PVC doors Levelling feet 10 year warranty Free Delivery.